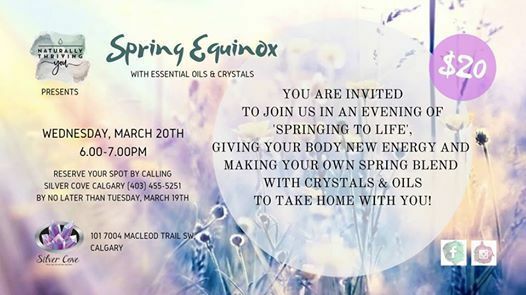 We would like to invite you to join us for a fun-filled and interactive evening of 'Springing to Life' and celebrating the Spring Equinox today. 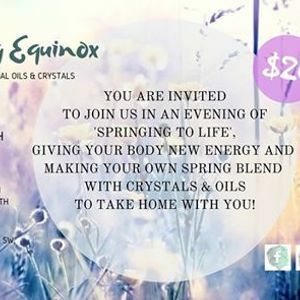 We will work on giving your mind, body and spirit a new energy for this new phase of life, with essential oils and crystals. We look forward to spending a fun evening with you.